While I'm very disappointed because I was very excited to run the race. However, I am also very proud of myself. I fully completed my training for my first marathon ever, and I really enjoyed it! I know that my legs could carry me through the race no problem (if my foot wasn't injured) and I'm very proud of my thorough training. I was running very well and consistently and could have predicted a good finish time, give or take 5 minutes. 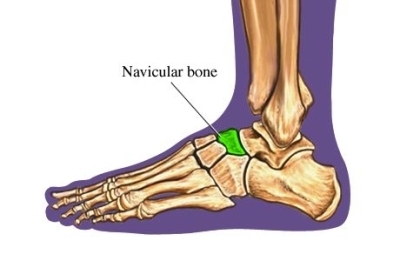 It is not a good idea to run, especially a race, if you have a stress fracture. It can get much worse and even cause permanent damage if it is not caught early enough and allowed to heal completely. For my foot to heal, I have to wear a walking boot/cast for a few weeks and there's no running allowed. I was very surprised to find no pain while walking with the boot on! I guess I'd really been doing a good job of walking and running through the pain these past few weeks. I do hope to use this time in the next few weeks to start some strength training and weight lifting that I had planned on adding to my workouts after the marathon. I'll start by focusing on my upper body and core, and adding my legs into the workouts if my foot can handle the pressure. Until then, this is my lifestyle. I am still able to do day-to-day activities with the boot, but I need to focus on resting my foot as much as I can, and I try to take it easy in the evenings. It is hard for me to sit and relax when there are things to be done! Luckily, I have a wonderful husband who is very helpful and doesn't let me get up if I don't have to. He's even taking care of things in the house and making dinner for me, even though he is very busy studying for Step 2 of his medical school board exams! We are still planning on going to Minneapolis this weekend for some planned events and festivities, and we'll definitely be cheering on some friends and the other runners running the race!